Georges Laraque's latest undertaking is the ideal showcase for two of his greatest passions: an on-ice battle and raising money for Hockey for Haiti. When the people behind the popular Battle of the Blades, the Canadian figure skating reality show and competition that airs on CBC Television, came calling, one of hockey's most feared enforcers, after some initial trepidation, accepted the invitation. Laraque is glad he did. Now in its second season, Battle of the Blades unites professional hockey players with champion figure skaters in an eight-week series. For the man who gained a reputation for knocking down opponents with stiff jabs and big haymakers, having the opportunity to keep his gloves on and try his hand at figure skating was an offer he couldn't refuse. Add that he'll have the chance to compete for a $100,000 prize, to be donated to the winners' charity of choice, and Laraque couldn't wait to hit the ice. “I love doing this,” said Laraque, who, along with his skating partner, Annabelle Langlois, will look to net the six-figure top prize for Hockey for Haiti, the initiative he has teamed up with the National Hockey League Players' Association (NHLPA) to support. “For me, it's so much fun. At first, I was hesitant, but I'm going to keep doing pairs skating after this is over. Through Hockey for Haiti, the NHLPA and Georges Laraque partnered with World Vision Canada in an effort to assist the people of Haiti in the wake of the devastating earthquake on January 12, 2010. 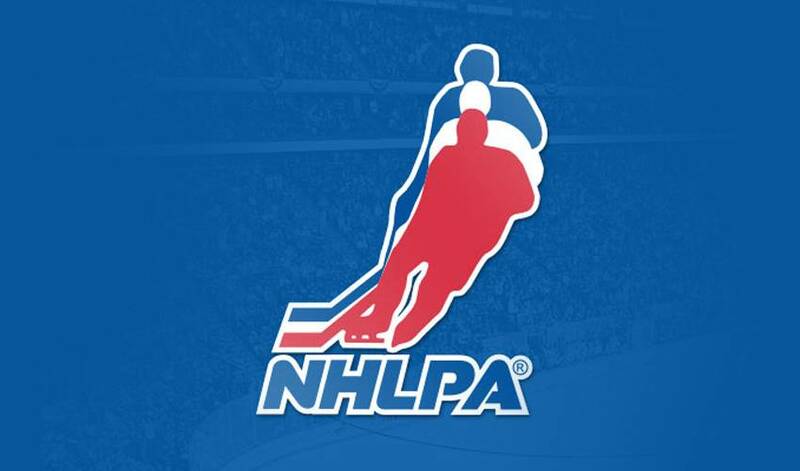 To launch the initiative, the NHLPA Goals & Dreams' made an initial $100,000 donation. Laraque championed the project that raised over $1-million in funds to build a health clinic and reconstruct a children's hospital. And even if Laraque and Langlois don't skate away with the $100,000, every couple who competes receives a $25,000 donation to their charity. As for who will be calling the shots on the ice, the 275-pound Laraque is more than willing to defer to his 97-pound counterpart. Two-time Olympic gold medalist and four-time world champion Ekaterina Gordeeva is part of the show, as is former U.S. champion Kyoko Ina. Violetta Afanasieva, Shae-Lynn Bourne, Isabelle Brasseur and Christine Hough-Sweeney are the other figure skaters. Former NHLPA members involved with the show are Theo Fleury, Valeri Bure, Patrice Brisebois, Kelly Chase, Russ Courtnall, P.J. Stock and Todd Warriner. Born in Montreal, Laraque got his start playing in the Quebec Major Junior Hockey League (QMJHL) before moving to the NHL in 1997 to play for the Edmonton Oilers. Despite his reputation as a feared enforcer, Laraque had offensive bursts during his career and in 2000 he netted a hat trick against the Los Angeles Kings. After playing 10 seasons with the Oilers, he joined the Phoenix Coyotes for a season before a two-year stint with the Pittsburgh Penguins, eventually signing with the Montreal Canadiens in 2008. Recently, Laraque announced his retirement from the hockey to focus on community involvement and humanitarian efforts. Currently living in Edmonton and a huge supporter of environmental causes, Laraque is involved in Terrasphere, a vertical farming movement; he is also a spokesperson for PETA; and the co-owner of two raw, vegan restaurants. He is also the president of Super-Glide Canada, a synthetic "skate-like-ice" surface without the expensive refrigeration and maintenance. In July, he was named Male Deputy Leader of the Green Party of Canada. Laraque happily admits he's busier than ever. And, in typical fashion, Laraque needs to help others, something he deserves perfect marks for.